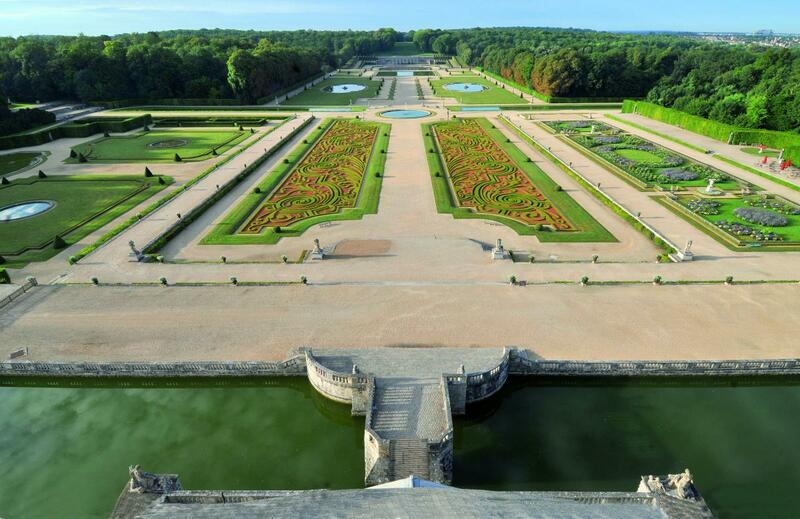 Vaux-le-Vicomte is the seminal expression of the Jardin à la française, the French aesthetic of formal gardens that swept Europe in the 17th century. From 1641, Nicolas Fouquet gave full rein to the genius of the renowned landscape gardener André Le Nôtre who used the latest technical, scientific and artistic knowledge of his era. Carved from 33 hectares (100 acres) of woodlands, the formal gardens were laid out along a three-kilometer axis to create a stunning setting for the château and its outbuildings. Working in close collaboration, Le Nôtre and the architect Louis Le Vau produced the greatest 17th century example of near perfect harmony between nature and the built environment. The strong lines and nobility of the garden design, its changing vistas and hidden charms, and the symphony of fountains, all combine with theatrical majesty to make Vaux-le-Vicomte a masterpiece of the jardin à la française. This is the perfect “mise en scène” for discovery, fantasy and pleasure. Discover how the garden was laid out by viewing the permanent exhibition in the château’s basement “André Le Nôtre at Vaux-le-Vicomte, the seminal work of French Formal Garden” shown here.